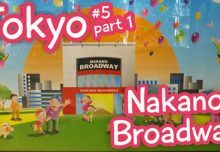 Watch my video for my tips and advice on buying figures in Akihabara! 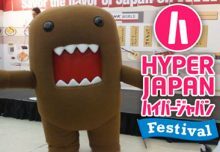 If you’ve already been, you might know a lot of this already, but if it’s your first time going to Tokyo, here’s what to expect in otaku central. 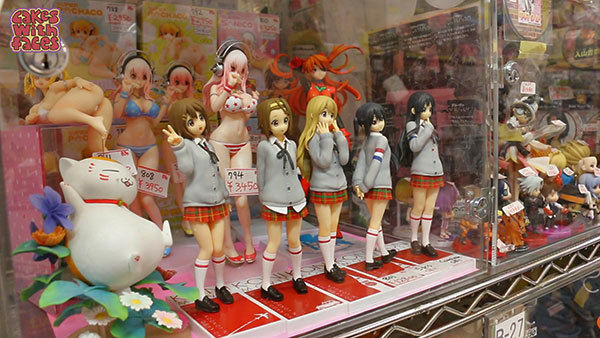 Figure shopping is always on my list of things to do in Tokyo, and the best place is Akihabara. There are just so many shops with figures, merchandise, games and manga (infuriatingly all in Japanese!). If you like anime or manga, it should definitely be on your itinerary. The first time I went to Tokyo, I expected anime to be everywhere. 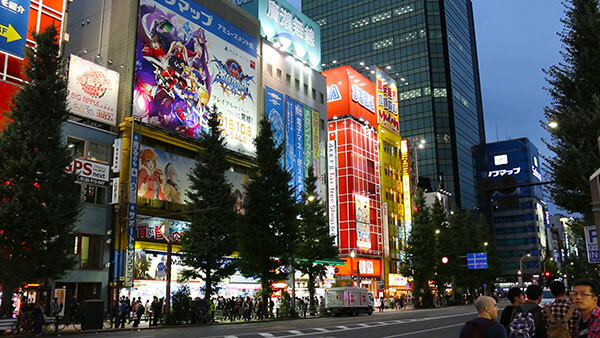 The reality is, in most of the city it’s not really the mainstream, but in Akiba it’s a different story! As soon as you get to the station there are huge posters and adverts, and all the shops are blaring anime theme songs. I can’t resist K-On figures! At first I was surprised at how much less anime figures cost in Japan than in the UK. If they were available locally for those prices, my shelves would be even more full than they are now! In my experience, prices are around a third of what we pay in the UK, especially at places like comic con. It’s understandable when you take into account that you’re paying a company to import them for you, flying them around the world and paying the customs charges and import tax. I stick to buying fairly cheap UFO catcher prize figures, but there’s a whole range of price points, and there are certainly plenty of expensive figures available as well as the cheaper ones. Where Else Can You Buy Figures in Japan? Otome Road – an area with butler cafes and shops aimed at female otaku, which I stumbled across in Ikebukuro. Denden Town in Osaka – which I’m looking forward to visiting next year! If you know anywhere else, let me know on Facebook or Twitter! 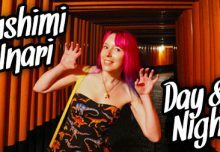 Subscribe to Cakes with Faces on YouTube for more videos about Japan and tips for planning your trip.